When you fly, you’re totally at the mercy of delays, queues at security and check out and the fact that you have to spend a significant amount of time at the airport. When you take a road trip in the UK, you just get up and go whenever you want to. I love finishing work, jumping in the car and arriving at my destination a couple of hours later – it’s so much fun. There are certain things that you would rather not take control off too. checking your vehicle’s Tire pressure before you set out on long journies is one of these. It will keep you from having an accident as well as save you miles in fuel in the longrun. Cleaning out your van using a product like a steam cleaner (which can be found at https://www.bissell.com/steam-and-hard-floor-cleaners/steam-cleaners) is essential. It will keep your van smelling fresh and pleasant to live in! I must admit that on our Australian road trip we were really nervous before we picked up our camper van. We had both never driven there before and we weren’t sure how a lot of things worked – the tolls, the rules of the road, etc. In fact one day we got told off by a traffic warden for parking the wrong way at the side of the road – we didn’t even know that was a thing! In the UK, you’re used to driving and so you know exactly how everything works which means you can relax when you’re travelling. If you’re taking the caravan, use A caravan battery box to reduce any nerves further as it protects you from toxic materials. I’m quite used to travelling light and with hand luggage only on planes, but that’s pretty easy if you know the weather’s going to be good and you only have to pack bikinis. When you travel in the UK you could get all sorts of weather, but if you’re bringing your car you’ve got space to pack lots more. You can even leave some things in the car during your trip and just take them out if you need them. Ok, this one isn’t for everyone, but I really love travelling with my dog. 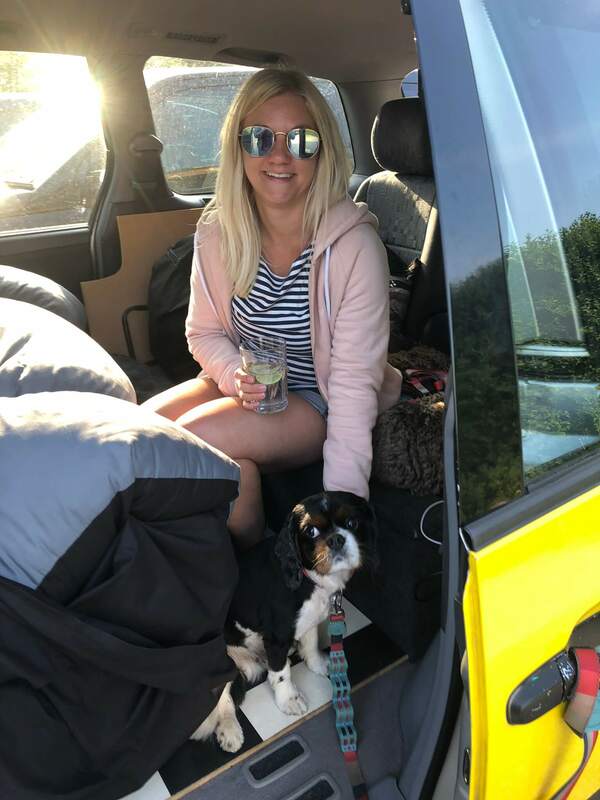 It makes me so happy to bring him along exploring with us and it’s so easy to do if you’re taking a road trip and even easier if you take a camper van as you don’t then have to look for dog-friendly accommodation for your trip. Just make sure your dog is strapped in with a chest harness and take plenty of breaks so they don’t get too hot. When you have a car, you can go wherever you want – there’s no checking bus time tables or spending a fortune on taxis. If you don’t like somewhere, you don’t have to spend the whole day there, just jump in the car and drive off somewhere! When taking a road trip, ensure that your car is road worthy and in good condition, as a UK road trip can easily be ruined by poor planning. If you have any queries about your tax or driving license you can call the DVLA contact number.